Vivien Sullivan Heaton of Hurricane, Utah, died at the age of 95 on Dec. 7, 2018, in Washington, Utah. Vivien was born Oct. 1, 1923, to William Duncan Sullivan and Annie Maria Olsen in the Cedar City, Utah, hospital. She grew up and spent a majority of her life in Hurricane, Utah. She attended Hurricane Elementary School, Hurricane High School and studied nursing at Dixie College. On June 20, 1946, Vivien married Weldon William Heaton in the St. George, Utah, temple and they raised their family of six children, Royal, Andre’, Maria, Teresa, Shawn and Tory, in Hurricane. Vivien was active in The Church of Jesus Christ of Latter-day Saints her entire life and served in the Relief Society, Primary, and Young Women organizations in various capacities. She also worked for many years in the church extraction program. 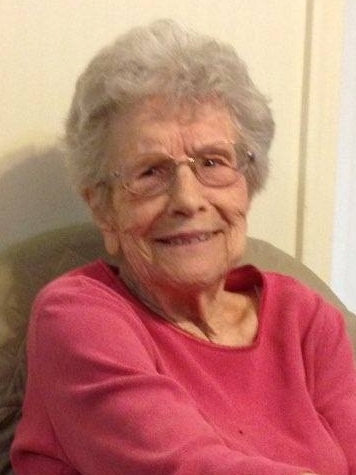 Vivien was active in Hurricane community organizations and clubs throughout her life. Vivien was preceded in death by her two oldest children, Royal Heaton and Andre’ Tonioli, and a grandson, Scott Tonioli. She is survived by her husband, Weldon, her children, Maria Heaton, Teresa (Kris) Gubler, Shawn (Kim) Heaton, and Tory (Setema) Gali; 48 grandchildren; 76 great-grandchildren; eight great-great-grandchildren; her sisters Toni Jeffs, Gay Egley, Mary Jane Bleak; sisters-in-law, Sally Sullivan and Nancy Sullivan; and numerous nieces and nephews who all will miss her. A memorial service will be held on Saturday, Dec. 15, 2018, in the Hurricane 5th Ward Chapel at 1 p.m.
Interment was on Dec. 10, 2018, at the Hurricane City Cemetery. final weeks of her life.